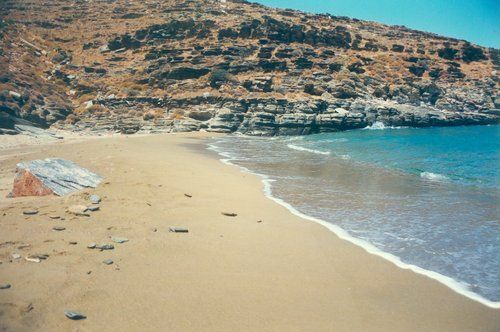 Kalidonihi (Kalidonychi) is one of the most beautiful beaches on the eastern coast of Kea, along with Spathi, Orkos, Psili Ammos and Sykamia. 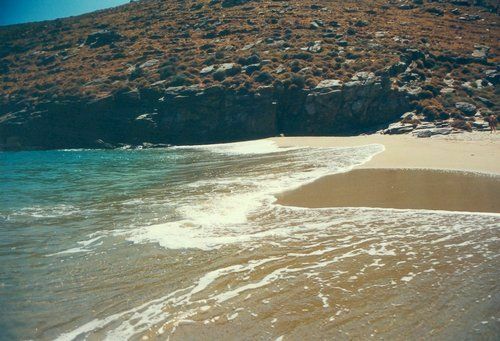 It is small, remote, not organised and has sand with beautiful crystalline blue-green waters. Usually it does not get crowded. However, in the weekends and in the high season, when the weather is convinient, it is used as an anchorage by several boats. The landscape is pure cycladian and there are only a few houses ashore. No facilities are available near by. There is a road connecting the beach to the rest of the island, for those who do not use a boat to come to Kalydonihi. ANCHORAGE INFO: Provides quite good shelter from the meltemi. Exposed to the SE. Beautiful sea and surroundings. No facilities near by.